Are your windows broken or damaged in any way? If you're looking to repair or replace windows you know there are many options. But how do you know you're making the right choice? When it comes to brands and styles it can be difficult to decide. Here is some helpful information to know when it comes to getting new windows in Lexington KY.Choose the Right BrandThere are so many window manufacturers out there. But which one is built to last? You'll want to get windows installed that are known for their durability and quality. 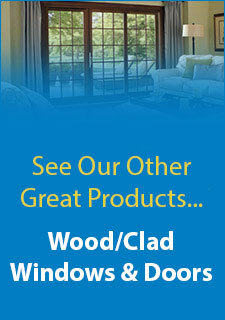 Talking to professional window installers will help you make the right choice. One sign that a window is worth investing in is when the installers offer a lifetime warranty. The right window installer will only offer you the best of the best.Choose Your StyleThere are many window styles you have to choose from. It depends on the style you want and where they will be placed. For example, there are fixed picture windows that are great for maximizing a beautiful view. Then there are glider windows that have horizontal sash movement that work well in bathrooms and kitchens. You could get awning windows that open outward and hinge at the top. Awning windows are typically installed above a kitchen sink. There are even more options for you to choose from when it comes to new windows in Lexington KY, including custom shaped and sized fixed windows.Hire ProfessionalsYou don't want to hire just anyone to install your new windows. You want to work with a trusted provider that has been conducting quality repairs and installations for decades. The right window company will be honest and considerate of your needs. Making the right choice is crucial because you'll get quality customer service. Don't hesitate to make your home look great again. Consult with professionals and get yourself the perfect new windows in Lexington KY installed as soon as possible.